Earlier today, Google launched a new feature that could fundamentally change the way people go about searching the web: Google Instant. The feature, which is rolling out now, shows results for your search queries as soon as you begin typing them — oftentimes you’ll have the information you were looking for before you’re even finished typing your query. You can see our full coverage on the launch here. Such a major change will impact the way people conduct their searches, and that will lead to repercussions for the search ecosystem. Steve Rubel says that it will make Search Engine Optimization (SEO) — the dark magic that helps websites appear higher in search results — totally irrelevant. 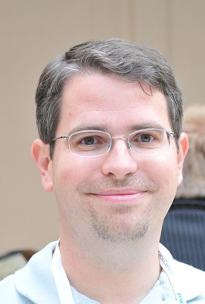 Now Matt Cutts, the longtime Googler who is in charge of Google’s webspam team and often speaks publicly about SEO issues, has weighed in on how he thinks things will change. And change, they will. Cutts goes on to further discuss this tendency to continuously refine your search queries — a concept that came up during this morning’s announcement. On ‘old’ Google, most users run a search query then browse through a page or two of results to see if they find what they’re looking for. With Google Instant, it’s more common for them to quickly tweak their query on the fly, or to flip through the suggested results by simply hitting the arrow keys. That change is important — it may make it even less likely that a user will see your site if it’s listed at the bottom of the results page, or a page or two deep. I’ve said it before, but SEO is in many ways about change. The best SEOs recognize, adapt, and even flourish when changes happen. With this change, you might notice some fluctuations in AdWords impression volume and traffic for organic keywords. For example, you may find that certain keywords receive significantly more or fewer impressions moving forward. We’ll have more on these issues, including an interview with Google VP of Search Product and User Experience Marissa Mayer, later this afternoon.